FORTREZZ Doors are made up of no less that 17 seperate laminations which makes the door almost 10% thicker that most other Composite Doors currently on the market today.With such levels of durability, looks and obvious security, our doors offer you complete peace of mind. With a huge choice of door designs available to choose from and both double, as well triple glazed options, there is combination to suit every home and, every budget. 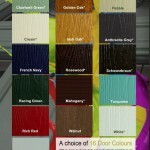 16 various door colours and available, all of which can be selected both internally as well as externally. 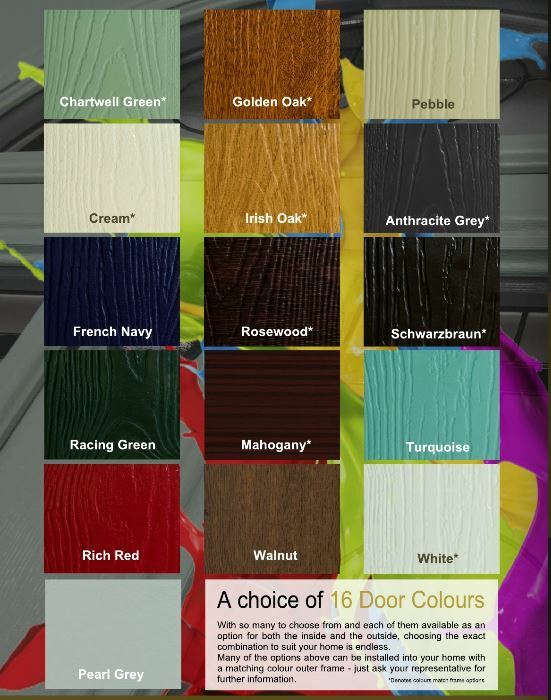 Many of the door frames can also be specified with a foiled material that matches the colour of your chosen design – simply ask your representative for availability. Comprehensive selection of door furniture and additional security aids. FORTREZZ doors are manufactured in the UK and are fabricated to exacting quality levels and as well as being compliant with all the required quality standards. The doors are constructed under the umbrella of the BMTrada Quality management system, they possess all the necessary CE markings requirements, are Building Regulations Document Q compliant as well as carrying the coveted “Secured By Design” certification.